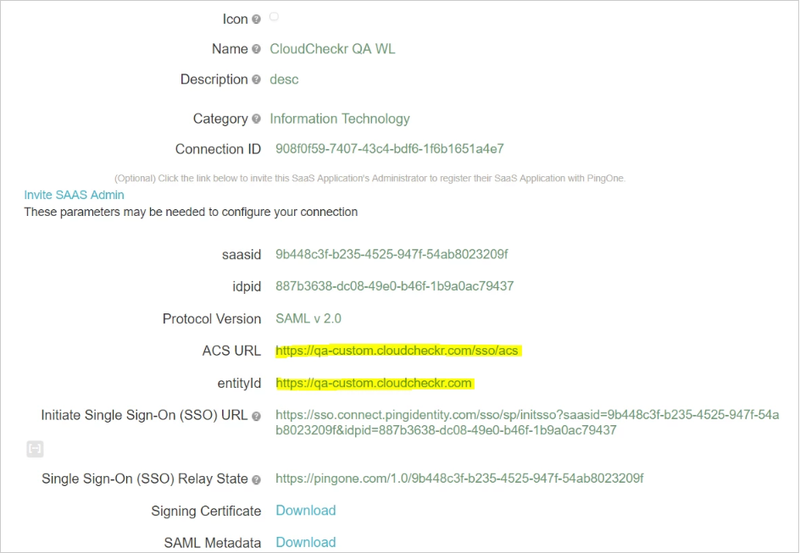 With SP-initiated SSO, you log into your IdP from the CloudCheckr user interface. 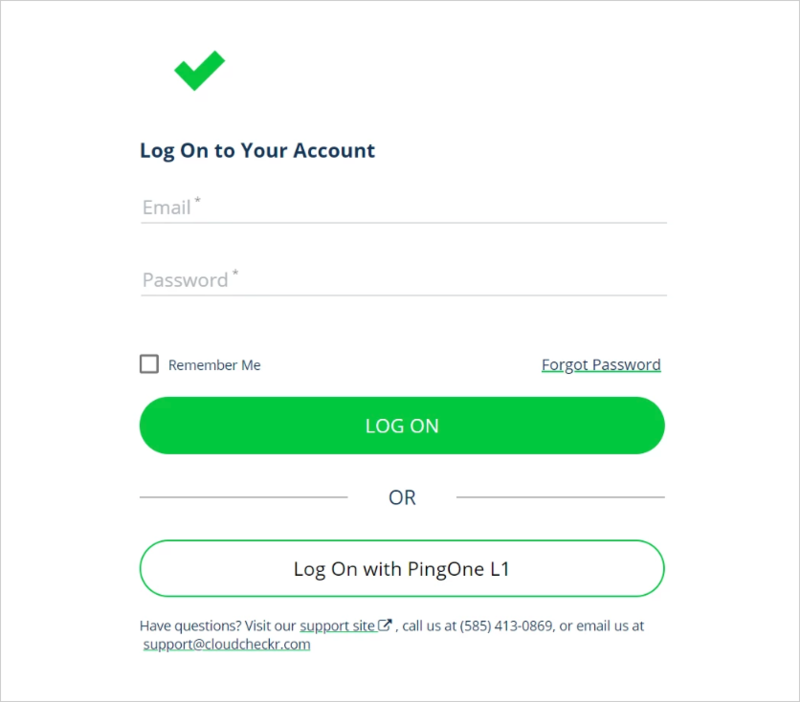 Prerequisite: You must be an enterprise customer who has paid for the Ultimate White Label package to configure the SP-initiated SSO and you must configure a custom URL. What Is Included in the Ultimate White Label Package? Background Image (5): supplied by the customer; if no background image is set, than the background color is used. Logo (6): uses the Header logo; if the Header logo is not set up, the Print logo is used. For more information on the Ultimate White Label feature, please contact our sales team. 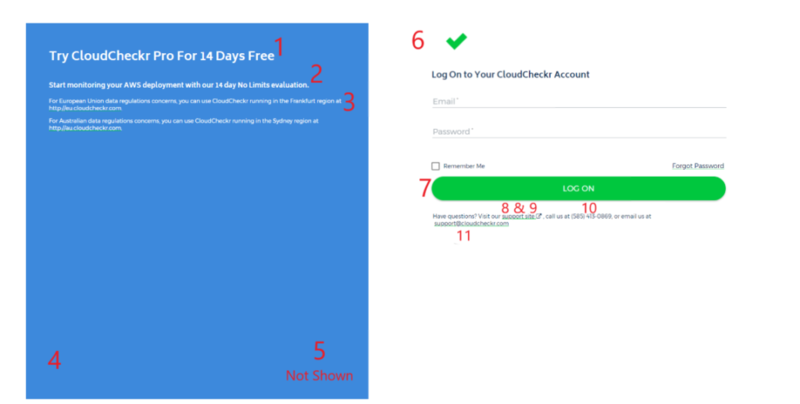 Follow the procedure for IdP-initiated SSO, but replace all instances of "app.cloudcheckr" with your custom URL. Navigate to the white label (WL) login screen. You can get to this page through a link or logging out of the white labeled customer. Click the SSO Login button for the IDP you want to use. If this customer has multiple IdPs, there will be a button for each IDP. The IdP prompts you to login with your IdP credentials. Once you are logged into your IdP successfully, the normal SSO process proceeds.